This city hotel is located on Tres Cruces street, on the corner of the completely renovated Gran Via Edificio street. An underground station can be found in the near vicinity. 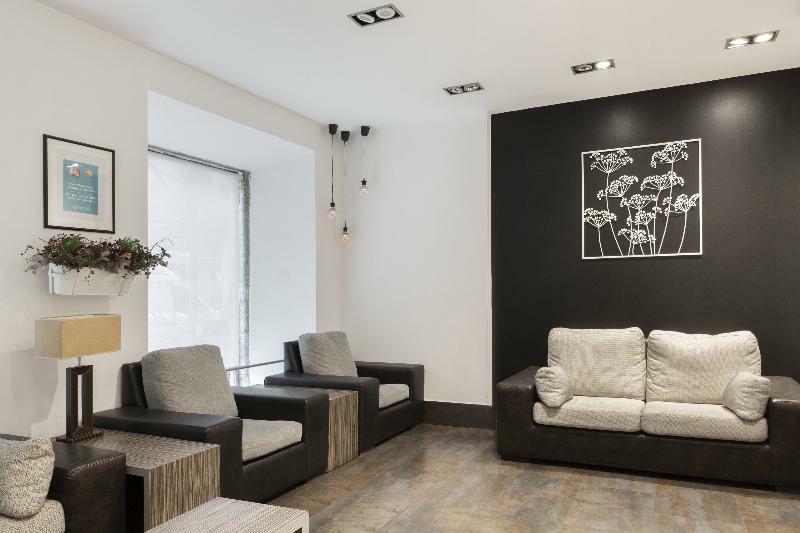 The hotel is situated at just 2 minutes walking distance from the train station in the Puerta del Sol. The Plaza Mayor and the Almudena cathedral are around 300 m away. The airport is around 10 kms away. Established in 2006, this fully air-conditioned hotel comprises a total of 57 rooms spread over 4 floors, and includes a lobby with a 24-hour reception and a lift. All accommodation units are equipped with an en-suite bathroom with a modern hydro massage shower and other modern amenities. The double rooms also feature air-conditioning or heating. Guests may select their breakfast from a buffet.